It all started when my wife and I almost bought an island on the Columbia River. It was only 2.5 miles from the nearest launch ramp, but moving supplies from our trailer to a boat seemed like a lot of extra work. 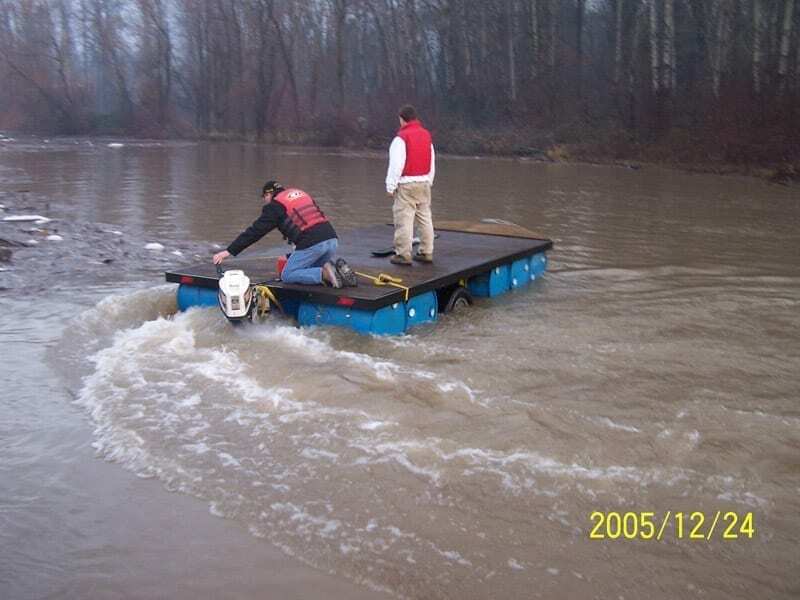 We figured if the trailer floated we could load up at home and then simply back it down the launch ramp and motor across the river. It turned out nobody makes a floating trailer and we thought that perhaps we could make one for ourselves. 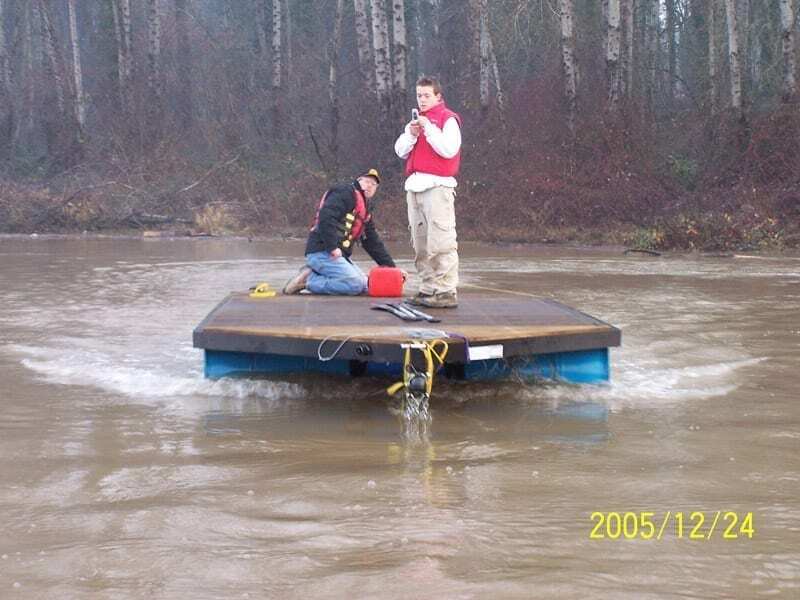 We built our first floating trailer in June of 2005 using inflatable pontoons. These were way to expensive and not nearly rugged enough for the crowd we run with. Then a neighbor gave us 20 free 55 gallon plastic drums. They were shaped like a pontoon, but they were rugged and they were FREE! 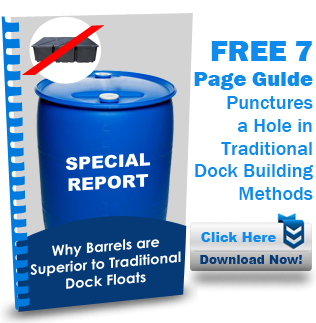 We never did buy the island, but we discovered the power in the floatation of a plastic barrel and started a company to bring that power to the rest of the world. Maybe you have an idea for an exciting new product that you would like to see on your bend of the river?